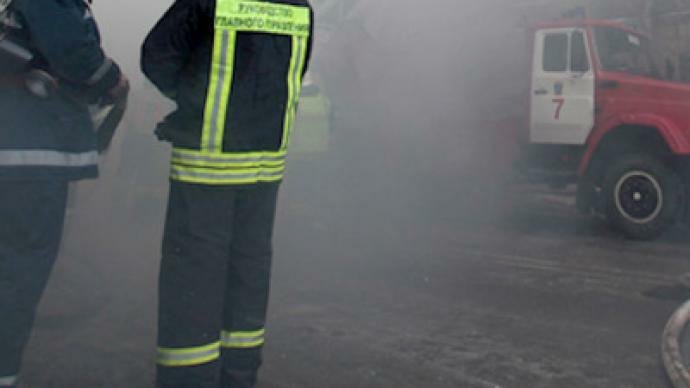 At least 10 people have died and 14 others were injured in a massive blaze at an underground parking lot in Moscow. Another 10 people were rescued. 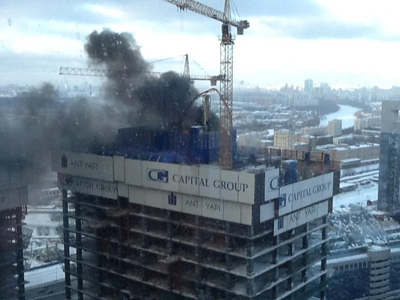 The accident happened in a building under construction in south-east Moscow. All the victims are said to be workers at the construction site that turned out to be blocked underground when the parking lot caught fire. Four of them died on the way to hospital, Moscow police said. Five people have sustained injuries and carbon monoxide poisoning, and been hospitalized, with three of them placed in intensive care. The cause of the blaze in the basement parking lot of a luxury apartment building is reported to be a construction waste bin catching on fire because of a short circuit. The development company responsible for the construction said the building was finished and workers were not supposed to be there. An investigation has been opened to determine the cause of the fire. Saturday also saw the head of the firm responsible for developing the property being questioned by police and later detained. Since then its come to light that the building was officially opened to the public before fire safety systems were installed. At least 15 fire brigades were involved in extinguishing the fire; it took them two hours to put it out.